Jakub Olipra of the Macroeconomic Analysis Department of Credit Agricole bank came top in “Rzeczpospolita” daily’s ranking of one-month and three-month forecasts of agricultural market. Five banks took part in the competition organized by “Rzeczpospolita”: Credit Agricole, BGŻ BNP Paribas, PKO BP, BZ WBK, and Alior Bank. Jakub Olipra came first in the ranking of one-month forecasts and second in the ranking of forecasts prepared three months in advance. The ranking covered the FAO Food Price Index forecasts and price forecasts of nine agricultural products in Poland: milk, poultry, pork, beef, eggs, wheat, maize, rapeseed, and sugar. -‘You need to understand the peculiarity of the respective market. Mathematical models which enable to describe this reality by numbers are also important. That is why the combination of expert knowledge and statistics brings the best results’ – Jakub Olipra told Rzeczpospolita when asked about the secret of the effectiveness of his forecasts. 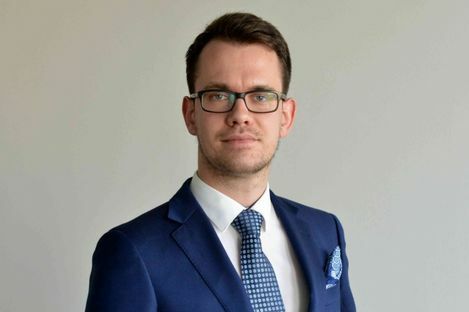 Jakub Olipra is senior macroeconomic analyst in Credit Agricole and one of the few experts in Poland specializing in food market analyses. In 2016 his study entitled “To Free the Potential of Polish Rural Areas” was distinguished in the competition of the National Bank of Poland for best reforms proposed for the Polish economy. Since 2017 he has cooperated with the Polish Milk Chamber preparing analyses for the needs of the Weekly Insider and the Polish Milk Chamber. It is worth reminding that in January the team of economists of Credit Agricole Bank Polska composed of: Jakub Olipra, Jakub Borowski, and Krystian Jaworski came top in the ranking of best forecasters of economic trends in Poland. The ranking was organized by "Parkiet” daily. Our experts proved unrivalled in the category of GDP and retail sales forecasts accuracy.